Gaungqui Honda Automobile Co., Ltd. launched “Li Nian S1” on 17th of April; it is the first mass production model of original Li Nian. Li Nian is the brand which is the outcome of automotive joint venture in china. 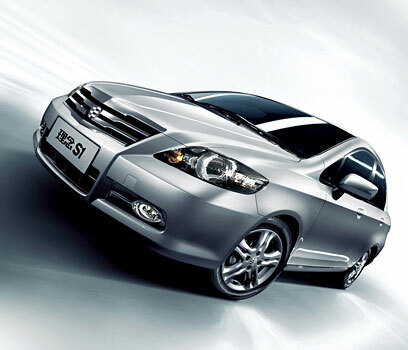 Gaungqui Honda handles design, production and sales target of Li Nian S1.Li Nian S1 is the sedan car which has been introduced to plea the Chinese people worldwide. It is especially designed for the people with biggest concern for fuel economy. Gaungqui Honda has produced Li Nian S1 with two engines; you can choose among the two engines i.e. 1.3 liters i-DSI and 1.5 liters VTEC engine. Honda Li Nian S1 is a stylish compact sedan car with fabulous exterior; its exterior has been designed keeping in view the desires of maximum people. Honda has integrated style and boldness in its exterior. Length of Honda Li Nian S1 is 4,420 mm, Width is 1,690 mm, and Height is 1,495 mm. Interior of Honda Li Nian S1 is roomy as well as comfortable. It is quiet spacious and one can use it as a family car, its comfy interior will intend you to take it on long drive. Price of Honda Li Nian S1 is 69,800 R.M.B for the 1.3 liters MT model. Wana know about the details regarding the warranty, here is good news for you Honda Li Nian S1 offers, “3 years from the new vehicle purchase rate or mileage of 100,000 km”. If you compare it with warranty plans offered by other automobile companies for small sized car, you will find it quite generous. Jennifer M. Granholm said, “The problem with the auto industry is layered upon the lack of consumer confidence. People are not buying cars. I do not care whether they are or American cars, or international cars”. Recent Catastrophe of Japan badly hit the automobile industry; Gaungqui Honda has introduced Honda Li Nian S1 as an attempt to compensate the loss and to facilitate the customers with a small sized compact Sedan car with enhanced fuel efficiency which could burden less on wallets.